It’ll walk you through putting in your information, etc. Once you do all that, you’ll get to a screen that has “customize your channel page” on it. It’ll walk you through choosing colors, etc. 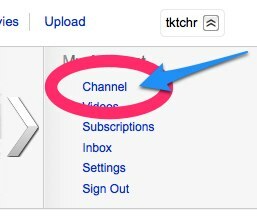 Then, when you log in to YouTube, you can choose Channel and get to videos that you’ve added!